Heatexchangers Southwest sets the highest standards for quality of engineering, workmanship and materials. After discussing the application and environment in which a unit is required to function, we specify and procure the best materials for the job from suppliers around the world. Documentation for each contract is retained for a minimum of five years. We demand and receive excellent support from our suppliers, which enables us to give our customers the response and performance they expect. We are accredited to ISO 9001. 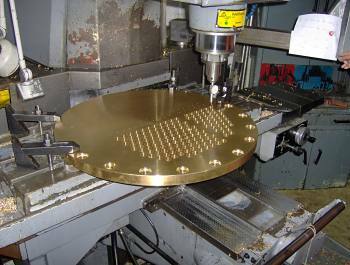 Our factory in Cornwall is equipped with CNC drilling and machining rigs, supervised by a fully qualified tool-maker and machinists to achieve precision results working from pattern or engineering drawings. Over the years, as the business has grown and developed, we have continually reinvested in people, technology and equipment. Today we are among the leading companies in the field, with customers in numerous industries and across the world. During 2011, Heatexchangers built 20 oil coolers for the Irish power generation company.